The Renault Grand Scenic MPV has received a facelift and it shall appear at the Geneva Motor Show in March, alongside the new Scenic XMOD. The main cosmetic change comes with the front end of the model with its new front bumper, headlights and grille which reflects the styling of the new Renault Clio and the brand in general. The interior has been given the modern touch as well with a new navigation and multimedia display featured on the dashboard. There are unfortunately, still questions about the Renault Grand Scenic’s reliability though it scored well in the 2012 JD Power survey so you shouldn’t have to splash out too much on car servicing, but it is still worth baring in mind. The facelifted Grand Scenic is scheduled for sale in the UK later in 2013. 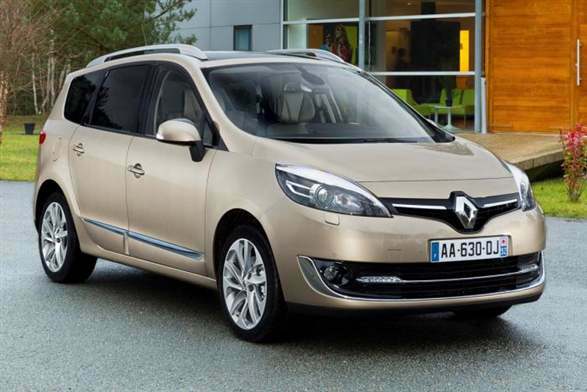 You will find the face lifted low mileage Renault Grand Scenic‘s on classified sites by the end of the year.